Rockford produces a wide range of electro-mechanical assemblies for a wide range of applications. From simple power distribution to full control systems, Rockford can design and manufacture in house. 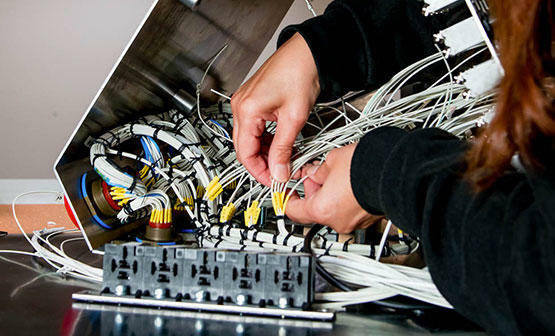 This includes power distribution units, digital control boxes, digital display boxes, PCB design and integration, full vehicle power systems, simulator systems, harsh environment racks & cables, server systems, aircraft LRUs, umbilical systems, and lighting systems.